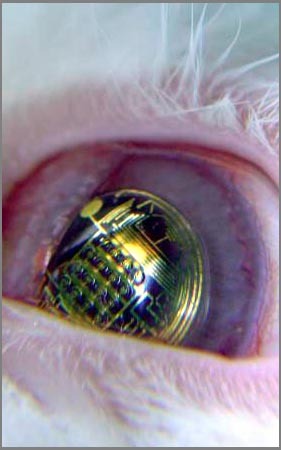 The semiconductor chip is at the core of what we think us as "technology". Computers, cell phones, iPods, medical equipment, avionics, etc. have all, only been possible, because of the chip. The American chip industry has been damaged by the recent economic slowdown like most industries, but more importantly, the chip business in the United States has been in a slow fall for 35 years. Over-investment in chip factories has resulted in steep losses of over the last five years. The chip business has been compared to farming. If too many farmers plant cotton, then the price of cotton will drop (supply and demand). The semiconductor industry sold just over $300 billion in chips in 2011, slightly less than a one per cent increase from a very depressed 2010 ($299 billion). The American chip industry, outside of Intel, is an endangered species. AT&T, Hewlett-Packard, and others are already gone from the field. Others, like Texas Instruments, have set a path for the eventual elimination of manufacturing. These companies have gone "fabless", meaning they will continue designing applications, but leave the process technology and manufacturing to someone else (most often to companies in Asia). The microprocessor market has been the exception, especially Intel. The microprocessor market has been controlled by Intel. It has been a kind of monopoly. But Intel, when operating outside the microprocessor arena (i.e. DRAM or Flash memory), has followed the general model. Intel has recently closed 3 factories (the industry calls them "Fabs", short for fabrication): one in Colorado, one in Oregon, and one in California. But Intel is building microprocessor fabs at the same time, currently building a factory in Phoenix and one in Israel. Intel is doing OK. Intel had over $12 billion of cash on hand at the end of 2008. In the last three years (2009-2011), an additional 17 chip fabs closed in the United States. Japan also experienced 17 fab closings, and 12 fabs were closed in Europe. 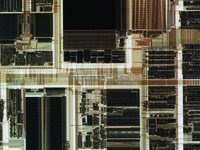 In 1980, one of the pivotal events in the history of the chip industry, was IBM's selection of Intel to build the microprocessors for the IBM personal computers. IBM chose Intel over Motorola and Zilog (Zilog was founded by ex-Intel engineer Frederico Faggin, who invented the MOS process while at Fairchild). 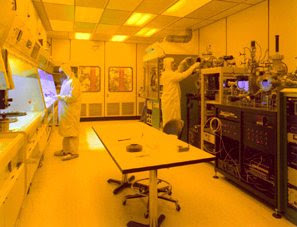 IBM insisted that Intel facilitate second sources for the microprocessors by allowing companies like AMD to alternatively manufacture the chips. Intel's wealth has been almost fully acquired because of their control of the personal computer. IBM ceded control of the personal computer away with this agreement, or more accurately, their failure to execute this agreement. The Chip Industry has its roots firmly in the United States. Scientists at AT&T Bell Labs invented the transistor in 1947. The chip, or integrated circuit, was invented by Jack Kilby of Texas Instruments and Robert Noyce of Fairchild (later Intel) in 1958. There were many interim steps between these two seminal events, most accomplished by the teams from Fairchild and RCA. In 1975, the U.S. had more than 70% of the world's market share for chips. The chip industry titans during the development years were IBM, AT&T, Texas Instruments, Motorola, and Hewlett-Packard. These were established technology companies that had success in the emerging field. Silicon Valley, in California, was largely the result of startup companies with ties to Fairchild, who was located in the area. Fairchild was a technology pioneer, but most of the success came from Fairchild alumni, what became known as the "Fairchildren". Alumni from Fairchild founded Intel, AMD, National Semiconductor, LSI Logic, Altera, Xilinx and many others. One notable Fairchild alumni was Eugene Kleiner, who would later found Kleiner Perkins, a venture capital firm that would help Amazon, Google and Sun Microsystems become billion-dollar companies. Since the U.S. had such a commanding market share in the 1970's, it was natural that this position would be difficult to maintain. The first challenger was Japan, who was very successful at capturing the DRAM market, at the time the most important chip market. By the mid 1980s, 80 percent of the DRAM market belonged to Japan. Many outside of Asia fail to give proper credit to the emergence of Japan in the chip industry. The common perception is that the sole reason for Japan's success was low labor costs. In fact, the primary reason for Japan's ability to manufacture at lower cost was a superior technical strategy. American DRAM manufacturers switched to a lithography technology called "steppers" a generation before the Japanese. The Japanese continued to utilize the previous generation lithography technology called "scanners". The American companies falsely believed that scanner technology would be inadequate for the newest memory devices. Scanners are significantly faster and less expensive to operate than steppers. Because the lithography step is so important to the overall process, the Japanese had a significant advantage, and used that advantage to capture the DRAM market. In 1987 the United States started a research consortium called Sematech to combat the loss of market share. The plan called for the chip companies to share research costs, with a government subsidy. Member companies contributed $124 million to Sematech's 1990 budget and $100 million was contributed by the government through the Defense Advanced Research Projects Agency (DARPA). Japan's market share did drop in the early 1990's, but this was probably more as a result of problems in the Japanese economy than with developments in the U.S. chip industry. The Japanese stock market "bubble" burst, much like the dot-com market burst in the United States. Japan's market share of total chip sales peaked in 1988 at about 49%. Today, Japan's world market share of the chip business is about 25%. Sematech had a positive impact on the U.S. chip companies' circuit reliability. Statistical process control (SPC) techniques were led by Sematech and resulted in dramatic improvements. Motorola, a Sematech member, was the first winner of the Malcolm Baldrige Quality Award. The progress in reliability enabled chip customers to forego incoming inspection of chips, a huge cost savings. Sematech was very active helping an immature U.S. equipment industry improve their tools. Sematech effectively moved the technology center of semiconductor industry from chip manufacturers to the chip equipment companies like Applied Materials and KLA. Before Sematech, the customers were the process experts, but now the process tool companies included process expertise with the equipment. This was very good for the lucky equipment companies, but Sematech was very selective. Many tool vendors were shut out by Sematech. Those outside the chip community sometimes fail to understand the degree to which the chip equipment industry is internationalized. A fab requires hundreds of different process tools for the many different process steps (some chips require more than 500 process steps). Many of the tools cost more $1 million. Most fabs will attempt to standardize on a tool supplier for a particular process step, but all fabs have equipment from many different companies. A few years ago, a major "Wall Street Analyst" cut his forecast of Applied Materials' business prospects based on the growth of the Taiwan semiconductor industry. The flaw in this logic is that a Taiwanese factory uses U.S. equipment at about the same rate as a United States based company. U.S. companies also commonly use equipment manufactured from outside the U.S, especially from Japan. Since the chip equipment industry is so globalized, if Sematech makes an advance, U.S. companies gain little, if any, advantage. Chip manufacturing has become highly homogeneous, from company to company, and from country to country. Because the equipment companies now controlled the process technology, it became much easier for countries like South Korea, Taiwan, and China to enter the market. 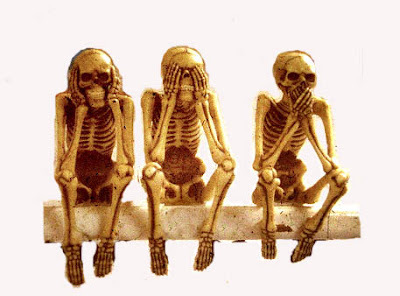 If a company had the money, the technology was for sale. The result of the work done by the industry, especially by Sematech and its Japanese counterpart, Tohoku University, was that the process of manufacturing chips became less of an art, and more of a science. Chip manufacturing became "paint by the numbers". Once the industry reached this level of maturity, the price of capital, and the price of labor, became the dominant factors in the choice of manufacturing location. A state of the art fab requires an investment of $3-4 billion. Chip manufacture is now a commodity business involving huge production volumes and low profit margins. A recent count of the last 40 chip factories built showed that 35 were in Asia, 3 were in the United States, and 2 were in Europe. The memory market, including the products DRAM and Flash Memory, is the most competitive chip arena. South Korean companies currently dominate the memory market. Samsung is the leader, with more than 30 per cent market share, and Hynix is second, with more than 18 per cent market share. Elpida (Taiwan) with 15 percent, Micron (U.S.) with 11 percent, and Qimonda (formerly Siemens/Infineon, Germany, currently in bankruptcy) with 8 percent, are the other significant market share holders. Chip manufacturing technology continues to become more of a commodity. Companies that once designed, manufactured, and marketed chips, now hire a third party for the manufacture step. This is what is meant by a "fabless" company. The company that performs the manufacturing step is the "foundry". The design is accomplished via collaboration between the foundry and the fabless company. A modern foundry provides software tools so that the fabless company can accomplish their objective using standard process cells, technology that is owned by the foundry. One of the world's first chip foundries was created in Taiwan by Texas Instruments in 1989 to manufacture DRAM. The company was called TI-Acer. Taiwan Semiconductor (TSMC), with $30 billion market capitalization, is the current leader in the foundry chip industry, and currently boasts more than 44 per cent of the world market share of chip foundry business. TSMC was founded in 1987 as a joint venture of Philips (Netherlands), the government of Taiwan, and private investors. Morris Chang is the founder of TSMC, and continues to serve as the Chairman. Mr. Chang's resume includes 25 years at Texas Instruments, leaving as a group vice president in charge of the company's worldwide semiconductor business. TI-Acer merged with TSMC in 1999. The world's second largest foundry is also in Taiwan. UMC claims more than 14% of the foundry business worldwide. Taiwan, a country about the size of Vancouver, Canada, has the highest concentration of semiconductor manufacturing in the world. It is interesting to note that two of the executives instrumental in recent events in the semiconductor industry are on the TSMC board of directors: Carly Fiorina and Thomas Engibous. 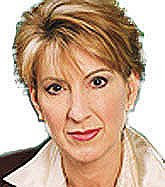 Carly Fiorina is now best known as John McCain's Economic Advisor during the last election. She is the former CEO of Hewlett Packard where she oversaw HP's exit from the chip manufacturing business. In addition, Ms. Fiorina spent nearly 20 years at AT&T and Lucent Technologies Inc. where she served as Executive Vice President, Computer Operations for Lucent and oversaw the exit of AT&T from chip manufacturing. Thomas J. Engibous (former Texas Instruments Chairman, former president and CEO 1996 -2004), was the department manager of TI's semiconductor group when TI established TI-Acer. Texas Instruments has eliminated their R&D operation, and plans to be fabless for most of their production. TI was one of TSMC's first customers. Much of the foundry model has roots from within Texas Instruments. Intel will continue to dominate the Personal Computer microprocessor business for the foreseeable future. There are threats. AMD does everything well except make money. A Taiwan company called "Via" may be the more significant long-term threat. Via designs the chips and manufactures them at the local foundries. 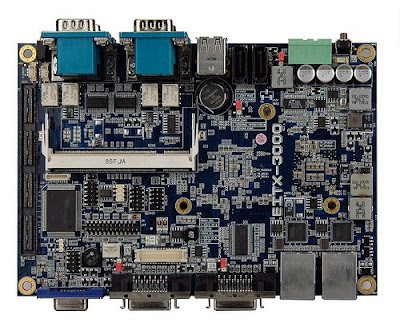 Via's core designs originated with Cyrix Semiconductor, a company started by ex-Texas Instrument engineers. Cyrix was sold to Via in 1999. Via's processors are competing well against the Intel "Atom" microprocessor, in less expensive laptop computers. AMD recently completed an agreement with a company from ATIC (Advanced Technology Investment Company) funded by the Government of Dubai, that should enable them to continue to compete with Intel. AMD plans to build (with their partner), a chip manufacturing facility in Saratoga County, New York. AMD currently manufactures all of its microprocessors in Dresden, Germany. AMD has a technology exchange agreement with IBM. IBM continues to do well. IBM's strategy is to participate in higher margin products and avoid commodity markets like DRAM. IBM remains a world leader of chip technology. Foreign companies continue to invest in U.S. fabs, but at a reduced rate. Samsung is doing well with its DRAM factories in Round Rock, Texas, a few miles north of Austin. Samsung operates two fabs; the newest fab opened in 2007 and is considered state-of-the-art. There are also success stories at the lower end of the technology scale. X-Fab, a German company, operates a fab in Lubbock that is a bright star on a bleak landscape. X-Fab excels by thinking "out-of-the-box", something exceedingly rare in the chip industry today, ironic considering its history. It would be impossible for X-Fab to compete in a high volume, low margin business like DRAM, but they do very well with custom analog chip production. The facility was originally built by Texas Instruments. More than half of the chip fabs in the United States in operation at the beginning of the decade are now closed. Outside of Intel, there has been little to cheer about. There is little mystery about what the future holds. Our actions today determine our consequences tomorrow. 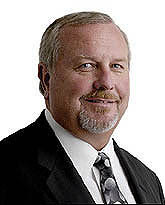 About the Author: Brian Bradshaw is a 25+ year veteran of the Semiconductor (Chip) Industry. His career includes work at AMD, Varian, and Sematech. He is currently General Manager of In Situ Host Systems.